No matter what time of year you choose to Branson, there’s always something exciting going on! In addition to over 150 live music shows and family friendly attractions, the Branson event calendar is bursting with fun things to do every month of the year. We have put together a list of some of the best Branson events for each season so that you can see at a glance what’s coming up when you’re planning your next Branson vacation! See the World in Branson – Enjoy entertainment and cuisine from around the world in this celebration of nations that includes performances by dozens of Branson entertainers and appearances by celebrity chefs at its Savor the Flavors of the World event and an all-new Vintage Marketplace. This international event at the Welk Resort was voted as one of the American Bus Association’s top 100 events in all of the US and Canada for tour groups! World Fest – World Fest at Silver Dollar City lets you experience a world of cultures without needing a passport! See dancers, musicians, acrobats, and other incredible acts from countries around the world, and sample delicious dishes from other cultures, all for the price of a regular Silver Dollar City ticket! Bass Pro Legends of Golf Tournament – The Branson area is proud to be the latest home of the long running Legends of Golf tournament, where you can not only watch some of the country’s greatest golfers compete, but also have the chance to get autographs and photo opportunities with them. Bluegrass and BBQ – Silver Dollar City celebrates the sweet sounds of bluegrass music and sweet smoky flavors of barbecue at its summertime Bluegrass and BBQ festival! Enjoy an all you care to eat rib fest, sample over 150 barbecue sauces, and catch performances from bluegrass bands of every type. Star Spangled Summer & Moonlight Madness – These two back to back Silver Dollar City summer events are full of fun for all ages, including appearances by the legendary Harlem Globe Trotters multiple times a day, meet and greets with characters, the opportunity to ride Silver Dollar City’s rollercoasters and family friendly rides after dark, and much more! Rock the Spectrum – Have fun for a great cause at Rock the Spectrum, which raises money for local families with autistic children. 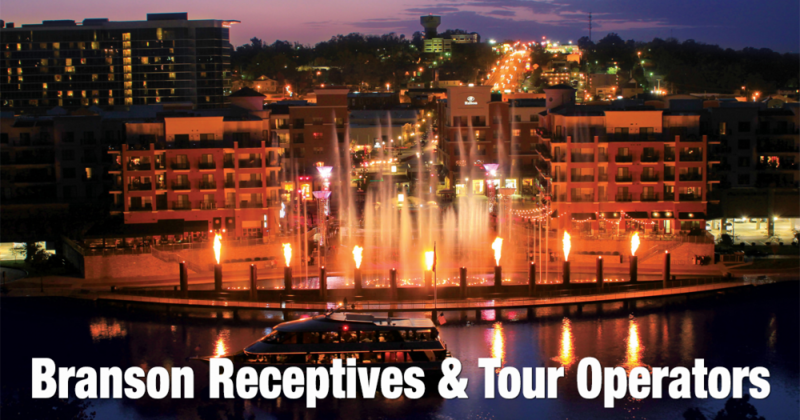 This high energy event at the Branson Landing features free concerts, games, and family fun with the goal of raising awareness and funds. 4th of July Events – Celebrate America with a bang with multiple fireworks displays around the Branson area, great 4th of July sales at the outlet malls, patriotic shows at local theatres, and daytime events filled with food and fun to pass the time until it’s dark enough for fireworks to begin. Memorial Day Weekend Events – If you can’t make it to Branson for the 4th of July fireworks, Memorial Day Weekend is another great chance to watch the sky light up with a spectacular display at Big Cedar Lodge or Chateau on the Lake! You will also find events around town honoring the true meaning of the holiday, with memorial and remembrance ceremonies for veterans. Southern Gospel Picnic – Summer at Silver Dollar City winds down with this soulful event, where you can see different gospel performers almost every day and savor mouthwatering southern cooking including Silver Dollar City’s famous fried chicken. It’s one of the largest Southern Gospel events in the country, and your opportunity to see both famous and rising gospel performers, and maybe discover a few new favorites! National Harvest and Cowboy Festival – Silver Dollar City’s Fall Festival brings you a Wild West Show, live horse training exhibitions, delicious chuckwagon style cowboy cooking, and talented craftsmen demonstrating the old-fashioned way of making everything from fiddles to quilts to wooden barrels. Fall Foliage Scenic Tours – October may be one of the most beautiful times for a drive, walk, or cruise through Ozark Mountain Country as the leaves begin fade from green to red and gold to brown. The Branson Travel Planning Association can assist you with fall foliage driving tour maps, as well as other picturesque options for seeing the changing foliage. Veterans Events – Branson does far more than just honor our nation’s veterans on a single day or weekend, we stretch Veteran’s Day events out into an entire week! On the November calendar of Branson events, you’ll find banquets, parades, military reunions, memorial ceremonies, and more. Veteran’s Homecoming Week is Branson’s most popular and biggest celebration in honor of those that have and are serving. Autumn Daze – Visit historic downtown Branson for the Autumn Daze Arts & Crafts festival each fall to see handmade pieces by artists and craftsmen from near and far. There are even free concerts and several food vendors on hand for when you need a break from browsing! Winter Wonderlanding – The Branson Landing knows that countess Branson visitors and locals will be strolling through their lakeside shops in search of the perfect gifts as holiday season rolls around, so they deck the halls (or shops, to be more accurate!) to the nines, put up an impressive 50 foot Christmas tree, throw a parade, and even invite Santa to send some time at the Landing posing for photos with kids! An Old Time Christmas – Silver Dollar City goes out all out for the holidays, decorating the park with over a thousand Christmas trees and millions of lights, and putting on incredible entertainment that includes a light parade, holiday music, stage shows, and a dazzling giant Christmas tree with lights synchronized to music. Trail of Lights – This annual event at the Shepherd of the Hills Homestead is a Branson tradition that has been enjoyed for decades! The Trail of Lights is a unique 2.5 mile drive through Christmas display that features animated scenes with their own music, amazing lights, and a trip up Inspiration Tower. Branson Area Festival of Lights – Over 175 holiday light displays await you at this mile long drive-through trail just off of Shepherd of the Hills Expressway. Grab some hot chocolate and pop some Christmas music into your car stereo, then enjoy the view as you drive past snowmen, angels, patriotic scenes, Santa, and more! Breakfast with Santa – Girls and boys of all ages are invited to Chateau on the Lake for breakfast with that jolly old elf himself, Santa Claus! Bring the whole family, your camera, and your appetite! And this isn’t all of Branson’s fantastic lineup of annual events either! There are new events in Branson added every month. If you need help planning your reunion or group, let one of our vetted Branson Travel Planning travel agents help. Contact Branson Travel Planners Association to learn more about any of these fantastic Branson events, including information on discount event tickets and other ways to get the most out of your next family vacation in Branson.